Golden Retriever exercise is mandatory! Without it they can become bored and frustrated and display destructive behaviors such as chewing or barking. Regular exercise helps your Golden to be calmer at home, builds strength and reinforces learning. Marley taught me about living each day with unbridled exuberance and joy, about seizing the moment and following your heart. He taught me to appreciate the simple things – a walk in the woods, a fresh snowfall, a nap in the shaft of winter sunlight. Golden Retriever exercise is essential but will vary depending on their age. 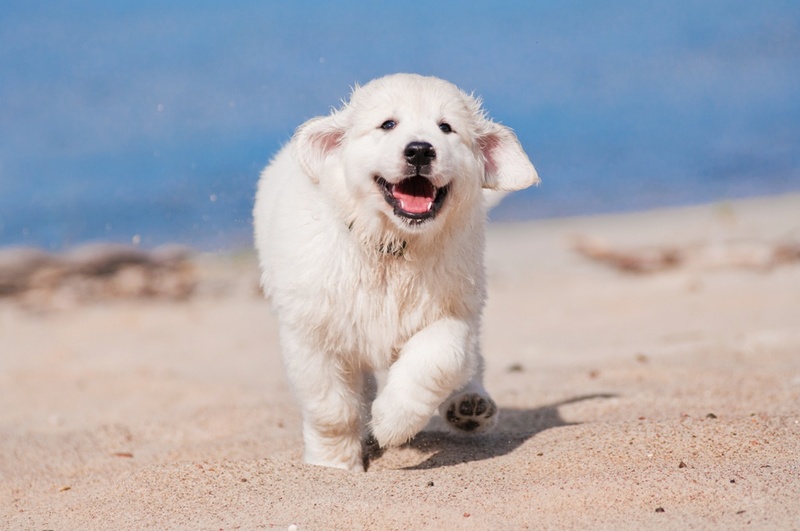 Golden Retriever puppies are energetic, active and playful but for a puppy up to 2 years old, exercise should be light to moderate for 1 to 2 hours daily. It is very important not to force your puppy to do hard exercise during its tender age because their bones are still growing. They may develop pain due to strenuous exercise which can result in lameness or even deformed bones. 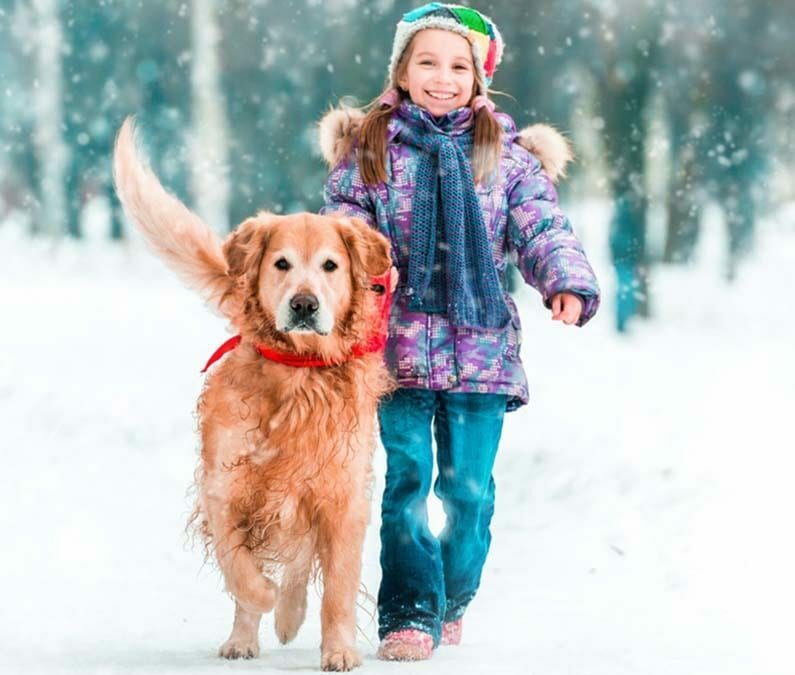 Socialization is the process of introducing Golden puppies to a wide range of sights, smells, sounds and experiences such as playing in a park with other dogs and children around. Golden puppies should be familiar with vehicles, a variety of buildings and walking surfaces. Exercise to improve socialization such as gentle Golden Retriever training can start as soon as you bring your puppy home. 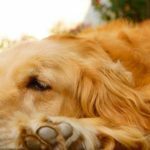 After 2 years Golden Retriever exercise can be at a moderate to hard level, at least 2 sessions per day. The American Kennel Club (AKC) classes them as a sporty dog. 1. Simple 1 to 2 hours of walking a Golden Retriever. 2. Swimming – Goldens love the water! 3. Running around in open spaces – take a ball with you for an energetic game or play session. 5. Agility games such as running over and through obstacles is great Golden Retriever exercise. Keep your dog’s attention on you and add an exciting element of unpredictability while walking on the leash by varying your speed and by making rapid changes of direction. Try zigzagging, circling, or retracing your footsteps a short distance before going forward again. Try doing a different route to your usual walk. Practice a little close off-leash walking when in a safely checked area — never when near roads or walking on sidewalks which run alongside them. Keep such sessions short as they require a lot of self discipline and concentration and make them as exciting as possible, with lots of unpredictable speed and changes of direction. 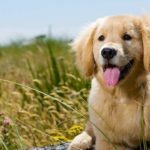 Walking your Golden Retriever is a great time to practice a few Golden Retriever training exercises both on and off the leash. As well as keeping your skills up to date, it’s useful to train in all sorts of different environments — it’s no good having a dog who only does what you ask in their training classes! Include basic commands, good walking and any fun tricks you’ve learned together. Reward him between each exercise with an exciting game praise or a treat before releasing him for more free running. Include lots of recalls: if you only call him to you when it’s time to go home he’ll keep his distance so the fun can continue for longer. A good recall is fundamental if you’re going to be safely walking your Golden Retriever off-leash. 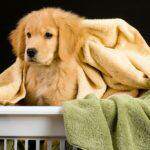 Golden Retriever exercise can use all his senses to the full by playing a game of hide-and-seek. When hiding yourself from his view (behind a tree or in long grass), make sure you can see him so you can call your Golden if he becomes panicky when he thinks he’s lost you. When he discovers you he’ll probably be very pleased with his own cleverness! This game can encourage your dog to keep a close eye on you and improve recalls. When walking a Golden Retriever, take a favorite toy along, and occasionally invite him to join in a short but exciting game with you — stop while he’s still interested in it and send him off to do his own thing again. You’ll find this encourages him to watch you carefully in case the toy comes out again and he’ll be unlikely to run too far away. Most Goldens like chasing and retrieving balls so it can seem a good idea to throw it far way with a tennis racket or ball launcher. However, hand throws keep your Golden near by and give more lively chases. Never throw sticks as they can be very dangerous — as an alternative you can buy rubber sticks or use a piece of old hosepipe. Regular exercise is important for Golden Retriever puppies and adults as they are active dogs. Goldens have lots of energy but want to please people, so teaching them to walk on a leash isn’t that hard. Walking a Golden Retriever can be enjoyable and interesting for they are intelligent dogs who love to have fun! Golden Retriever exercise will help maintain their fitness, health and happiness.